This entry was posted on November 22, 2018 by MageBees. Migrating your e-commerce store from one platform to another is not a task that can be finished in the blink of an eye. You will have to focus on different things including importing database, selecting a new theme, solving customization issues, finding compatible extensions, migrating custom codes and more. It seems like a lot of work. But, if you want to sustain your e-commerce website and seek higher chances of growth, migrating to Magento 2 seems to be the right option. Let’s learn why. On November 2015, Magento announced Magento 2 platform to lay a foundation of strong technical growth. Many Magento 1 users were unsure about their moves and decided to stay on the old platform as long as possible. Saving money and avoiding the hassles of migrating the entire e-commerce website to a new platform were the primary reasons for ignoring the change. 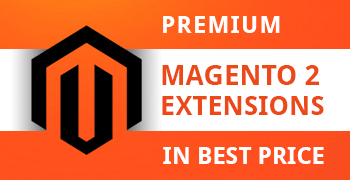 However, with the company’s June 2020 deadline of providing software support to Magento Commerce 1 and Magento Open Source 1 users, you have no option but to migrate to the advanced Magento 2 version. It is best not to wait till the very end of deadline because adopting the technology earlier means allowing yourself more time to understand it and use it to your maximum benefit. Implementing new changes to Magento 1 store will not only be time-consuming but expensive as well. Why invest money in something that will need replacement in the near future? By choosing to migrate, you will allow your store to grow according to the rise in a number of customers. Magento 2 gives more control to merchants and allows them to adapt to the changing competitive environment quickly. The new software comes with several inbuilt capabilities making the requirement of many third-party extensions unnecessary. Also, with the improved structure, integration of various systems such as inventory management software, ERP software, CRM tools, etc. becomes easy. You may feel the pinch of upgrading the software now, but in the long run, benefits outweigh the costs. Data security is extremely crucial in this age of rampant cyberattacks. In order to prevent data theft, Magento 2 offers stronger data encryption than its predecessor. Thus, it promises better protection of passwords, credit card details and other financial information. It uses the Advanced Encryption Standard (AES-256) algorithm to protect information. User session validation in open source also works in preventing session attacks. Currently, the company has stopped releasing new features for Magento 1. Once it stops supporting it, your website will be exposed to several vulnerabilities. Security risks will increase exponentially. 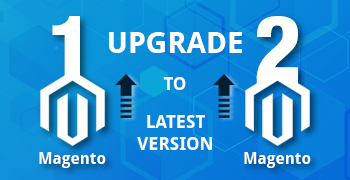 So, it is best to choose the secure option and migrate to Magento 2. Speed was always a concern for Magento 1 users. But, the company promises superior speed with Magento 2. With the introduction of upgrades for improving the performance such as full-page caching (FPC) and Ajax Cart module, you can increase the page load speed on your website and thereby improve the sales number. Magento 2 has improved admin panel with more categories and sub-categories for easy navigation. If you consider B2B functionality, Magento 2 wins the game. Several new features such as customer self-service tool, default quote management, customization options for merchants, etc. ensure improved sales. Magento 2 platform offers better responsive front-end design that allows your customers to access the website from any device. It even claims of quicker page loads, faster checkout and a considerable reduction in cart abandonment rate. Magento 2 allows customers to view order details during the entire checkout process thus, assuring them of making the right purchase. There are fewer formalities which makes it easy for customers to shop from your store. It provides several other benefits including automatic guest checkout, account creation after order placement, streamlined account creation, better integration with payment gateways, the inclusion of photo summary, etc. Magento 2 allows the use of Elasticsearch extension that makes advance searches on product catalog easy. It supports multiple languages, synonyms as well as spelling errors. It promises better search experience to customers. You can now upload videos along with product images to convince your customers. Although Magento 2 offers several advantages over Magento 1, not many businesses are willing to take the leap. You may not want to rebuild your website or you may be satisfied with Magento 1 but remember that a little bit of inconvenience now will ensure better profit in the future. Do not be wary of change. If you are worried about the transition process, work with an experienced company that provides Magento migration services. The migration process will become easy with an expert at your beck and call. So, do not fear change! Pack your bags and say goodbye to Magento 1! 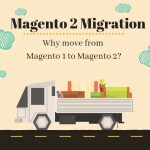 Looking to migrate to Magento 2? 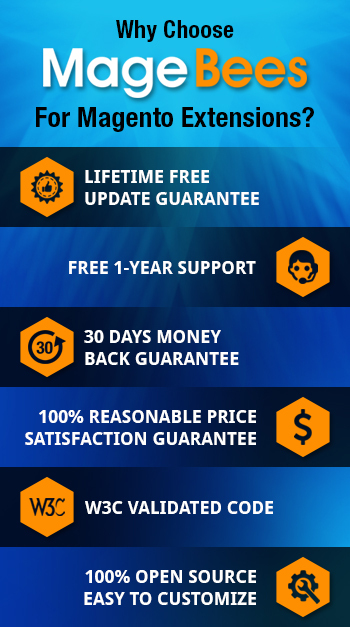 Choose MageBees.com. We offer the most reliable Magento migration services at affordable cost. Our comprehensive services include Magento 2 extensions to make the transition simple and stress-free. Get in touch today.